Shannon Howell – Institute for Dance, Inc.
Shannon Martin Howell was born into the dance world. Her mother was owner and director of Martinique School of Dance in Richmond, Virginia. Shannon begin dancing almost as soon as she began walking. Shannon studied all forms of dance but her focus was Ballet. She had the opportunity to study in New York at the National Academy of Ballet under the direction of Thalia Mara. Shannon was also a dancer and soloist for the Richmond Ballet for 3 seasons. She graduated from Mary Washington College with a BA in dance and a minor in education and then was off to New York for intensive study with American Ballet Theater, National Academy of Ballet, Steps on Broadway, JoJo’s Dance Factory and Broadway Dance Center. In addition to her studies, Shannon was a dance instructor at St. Margaret’s School in Tappahannock, Fredericksburg Ballet Center, Paul D. Camp Community College, The Avery Ballet in Fredericksburg, Virginia, and the Tidewater Ballet in Norfolk under the direction of Gene Hammett. Shannon decided to get married and start a family which brought her back to Richmond where she became director of Martinique School of Dance, and owner for the next 33 years. In addition to being director of Martinique School of Dance, she was adjunct dance professor at the University of Mary Washington for 2 years. Shannon also founded Richmond’s Ballet Petit, a non-profit ballet company for students ages 9-18. She created and choreographed the Ballet “The Night Before Christmas” which performed seasonally at the Landmark Theater in Richmond for the past 22 years. Shannon has two daughters and one son and is proud to be the grandmother of five wonderful grandchildren. Shannon’s husband decided to retire which brought her to the Williamsburg area. She decided once she came to the area to sell her schools in Richmond. 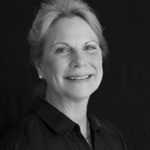 She has a teaching history spanning over 35 years and teaching dance to students has remained her passion.